Will gamers complete this textual quest? Video games have advanced exponentially over the past few decades, not only in terms of graphical capabilities and environmental scope but also in their ability to generate immersive storytelling through fleshed-out characters and situations, authentic dialogue, and important social commentary. As such, the conversations about them have similarly advanced, with many books, essays, and the like—including several here at PopMatters—providing academic analyses of the medium as a vital modern art form instead of mere dismissible entertainment. Unfortunately, those write-ups—like all scholarship—can sometimes feel too esoteric and self-serving, favoring unnaturally learned language and allusions to secondary research over original argumentation and accessible (though still intellectual) wording. Such is the case with Future Gaming: Creative Interactions in Video Game Culture by Paolo Ruffino. A Lecturer in Media Studies at the University of Lincoln, he dissects several crucial events for deeper, downright existential significance with a reliable air of passion and authority; however, the aforementioned issues, coupled with his proclivity for overestimating his importance within these investigations, makes most of the book insufferably impenetrable. Ruffino's mission to say so much so personally and cerebrally results in restricted worthwhile perceptions actually coming through. Future Gaming does, to an extent, satisfy its mission to explore "the ways in which the past, present, and future notions of games" ask "all of us who study and play (with) games to raise ethical questions ... about our involvement in the discourses we produce as gamers and scholars." For instance, the chapter "Independent Gaming: Take Care of Your Own Video Game" finds Ruffino surveying different justifications for categorizing products and their producer as "independent". He references games like Braid, Fez, and Super Meat Boy to divulge the multifaceted ambitions and realities behind such a label. 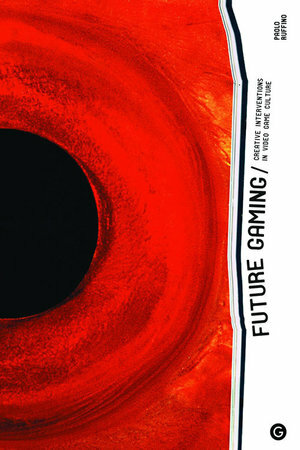 In doing so, he first establishes an objective definition—"[it] generally refers to the possibility of financing, developing, and releasing a video game independently of a mainstream publisher"—before reconsidering more subjective lens (in relation to the creators, it "constitutes the opportunity to express themselves outside the logic of the market, releasing games for free and claiming a larger degree of freedom in the choice of a game's content and style"). It's an interesting and complex discussion that implements effective ethos, pathos, and logos to encapsulate a denser look at a growing aspect of the field. Equally keen is "GamerGate: Becoming Parasites to Gaming", which examines how "the representation of women in games and their inclusion in the game industry have been at the center of heated debates within video game culture" in recent years. Specifically, Ruffino brings up the history of and responses to blatant misogyny within the community, including notions that "women, journalists, politicians, and ... experts (often seen as unified actors with particular agendas) were allegedly plotting to destroy the medium of the video game for the sake of gender equality." As usual, he delves cavernously into multiple sources and viewpoints before concluding that since we've always been "implicated ... as exploiters and exploited, we should find the most hospitable way to play our role." Like every section of Future Gaming (to varying degrees), there's an essential and intricate conversation happening at the core of Ruffino's writing that earnestly seeks to challenge and expand our means of being a part of the system. That said, too much of the book revolves around shifting references to outside stimuli, as well as distractingly exclusive and pretentious verbiage. Honestly, the majority of each chapter is about what others are saying; while that certainly lays a crucial foundation, this characteristic eventually becomes frustrating because it implies that Ruffino is more concerned with his research skills than his primary insights. Likewise, he frequently delivers his thoughts via self-indulgent jargon that only a minority of the most erudite readers will easily comprehend. For example, in discussing the Nike+ FuelBand as an example of gamification (an inherently interesting practice of applying "game design techniques in non-playful contexts"), he writes, "Engagement implies change and movement towards a catastrophic point of modification, or progress towards an event that will alter the terms of the engagement itself." While such phrasing can be understood with close reading, Ruffino's points would undoubtedly shine more if they were written with more welcoming inclusivity. After all, simplified wording does not intrinsically lead to simplified ideas. Another pitfall most academic writers are told to avoid is the unnecessary and obnoxious use of first-person narration, yet Future Gaming is full of it. Not only does Ruffino permeate his text with redundant meta moments like "In this chapter, I explained", "I believe", and "As I will argue", but he often deviates to make himself the subject of the chapter. Beyond his ridiculously personified bond with his Nike+ FuelBand ("In the end, I have decided to break up with [it]: our relationship, which was supposed to be, since its very beginning, focused around movement, was not really going anywhere"), he routinely insists that he's a noteworthy player in the controversies. For instance, in discussing the 2011 PlayStation Network hack, he writes, "My proposal is that, by thinking of my own involvement in the network as a hybrid mediator, the action of writing and talking about the network becomes a transformative event rather than a habit." This issue, combined with the two discussed in the previous paragraph, results in a significantly long-winded, opaque, and egotistical approach that almost completely nullifies any engagement readers might feel. There's no denying the amount of relevance and awareness Future Gaming has regarding modern day video game practices and culture. Ruffino touches upon many industry occurrences and philosophies with keen provocation, granting them the kind of scholarly appreciation they deserve. However, nearly all of it is made drearily remote because of how monotonous, tangential, and ostentatious his approach becomes. Without a doubt, such intense inquiries require sophisticated language and supplemental support, but not at the sake of pushing away your invoked audience. In other words, almost no gamer will want to complete this textual quest.